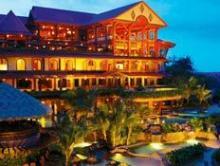 Quintessential Costa Rica - Volcano and Beach Vacation. 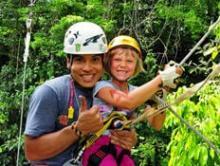 Costa Rica family vacations are commonly known all over for three things: volcanoes, beaches, and fun! You don’t need to compromise and can experience the best of both of these worlds in this custom vacation package. Starting in Arenal and staying at one of our favorite luxurious, family-friendly hotels, The Springs Resort, you will marvel at the beauty of the perfectly cone-shaped volcano that rises out of the surrounding plain. The Arenal and La Fortuna area are also famous for the exciting activities you can enjoy, and this package includes two adventure-filled days. For the second half of this vacation package, we leave Arenal behind us and head to the Pacific Ocean. Manuel Antonio is known for its postcard-worthy beaches and has year-round tropical warm water and rolling waves. You will stay in the beautiful, family-friendly Tulemar Resort where you can enjoy a swim on the beach and a view of the surrounding jungle. 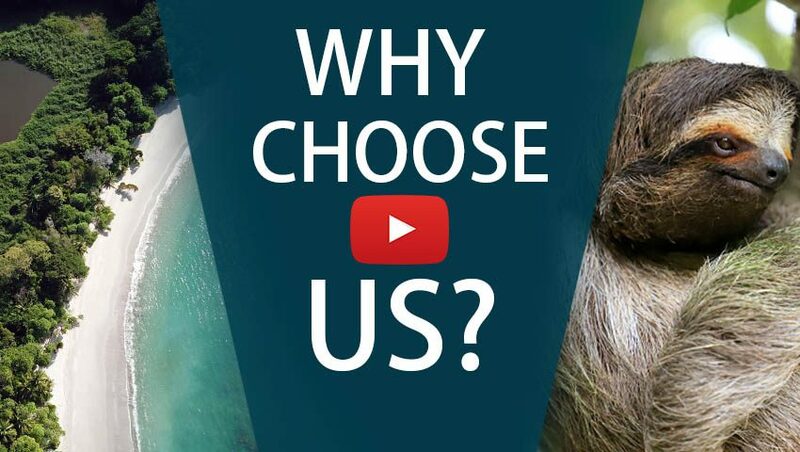 Two incredible locations, fantastic activities and adventures… this will be an unforgettable vacation! Land in San José, where one of our representatives will meet you and show you to your private transfer. From there, travel to La Fortuna where you will stay at the renowned The Springs Resort. 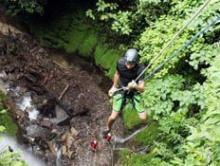 See Arenal from the confines of its stunning jungle on an exciting canyoning tour. 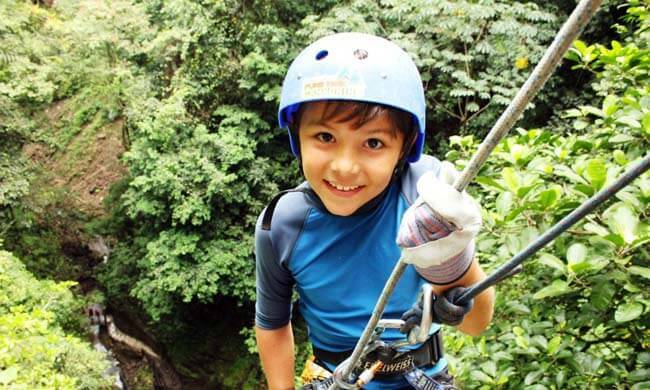 Rappel down a 350-foot canyon, navigate waterfalls, and experience the monkey drop! It´s sure to get your heart racing! Take a private transfer where you’ll check out the crocodiles along the Tárcoles river! Once in sunny Manuel Antonio, you´ll stay in a villa with a wonderful view at Tulemar Resort. Enjoy your stay at Tulemar Resort. Sit beachside while you indulge in their delicious meals, relax by the pools, or take a swim in the ocean. Take advantage of the hotel’s kayaks and boogie boards or visit Manuel Antonio National Park. 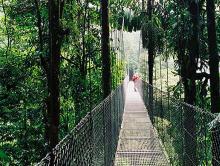 Finish your trip with a bang on a Canopy Safari tour! You´ll zip through the trees and then visit the butterfly gardens and snakes exhibition.